Previous Article7 jars of the best tomato juice money can't buy - because I made it myself! The observant eye will also notice the Digester Eggs in Greenpoint in this shot. 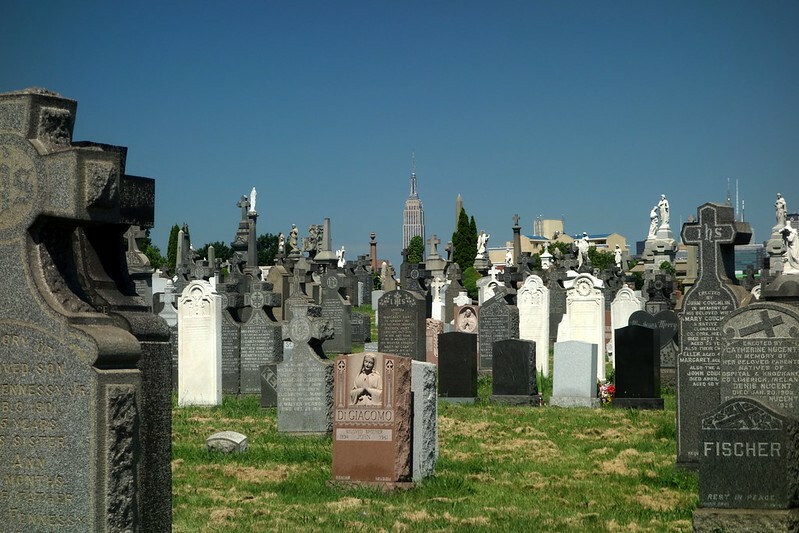 The cemetery is First Calvary Cemetery, a Roman Catholic burial ground that is one of four parts of the greater Calvary Cemetery in Long Island City (the cemetery website is wrong, they’re not located in Woodside; they’re in the 11101 ZIP, which is Long Island City). 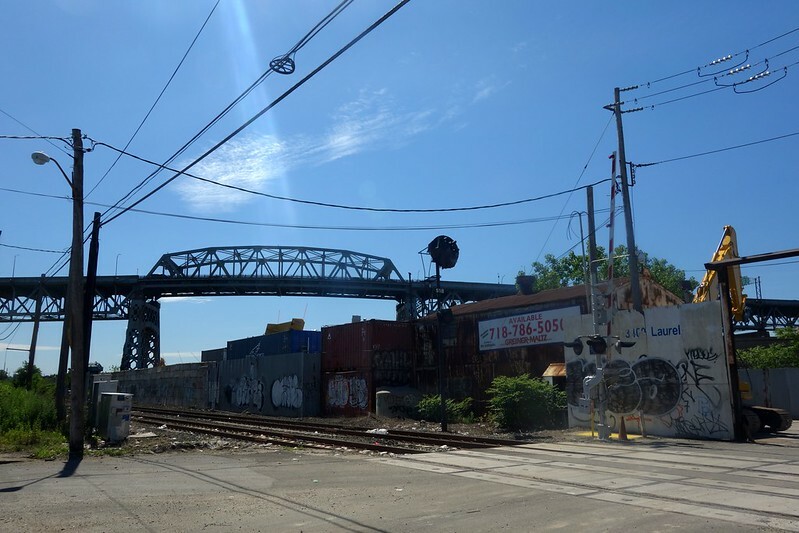 Seen on the left edge of the image is “[L]AUREL HILL BLVD,” which borders First Calvalry Cemetery to the south (not all roads in Queens are numbers – some have names too!). 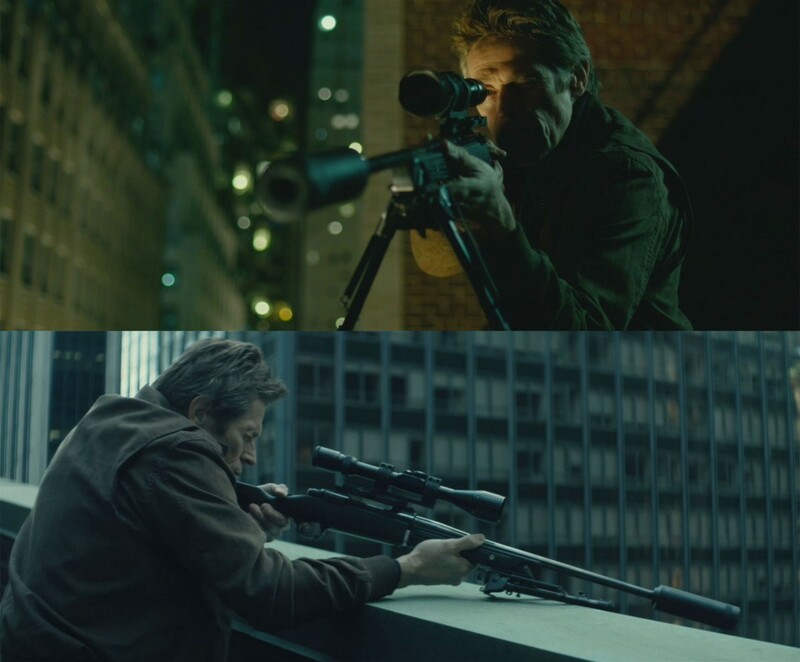 This next scene is brilliant on so many levels, namely the sequence cuts and the implications: John Wick, ready to wage war to avenge the death of his dog, a parting gift from his deceased wife, ready to kill dozens and dozens of men to achieve his objectives, knows the location of the chop shop from his previous line of work. But he simply won’t drive his SUV with two broken windows there. He’ll kill men, but opts for the bus to get to the chop shop. Apparently he gets the Q90 from New Jersey (instead of a cab) and gets conveniently dropped off right in front of the chop shop. BRILLIANT! He didn’t even change out of his bloodied shirt! 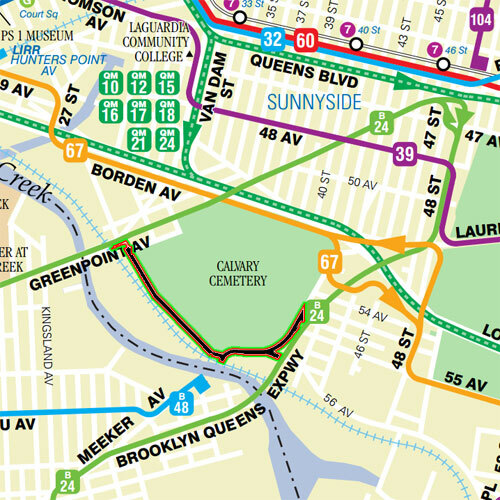 And no there’s no Q90 bus, there’s no tree-lined road in this area, and there’s not even a bus route that runs along the southern edge of First Calvary Cemetery (shown blacked out in the adjacent map). I appreciate the world of make-believe in film! Here are some non-Queens bonus scenes. 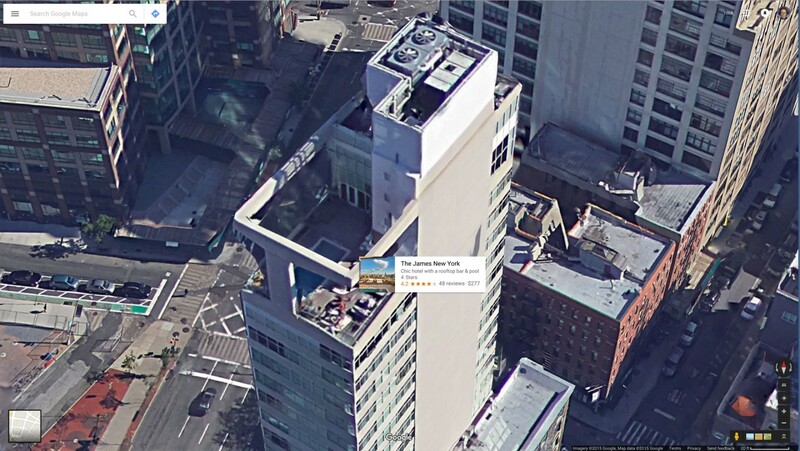 It’s this building, but not in this direction – see the HVAC units. 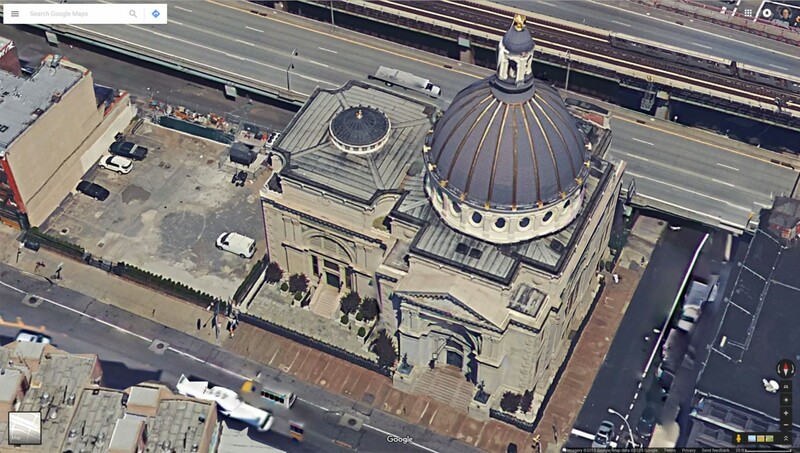 It’s this building, looking south. Aside: I once shot a short, 1-minute film in 2006 alongside the fence adjacent to the James Hotel, as seen in this image. Nice story. I found it while writing my own piece about the scene filmed at Calvary. 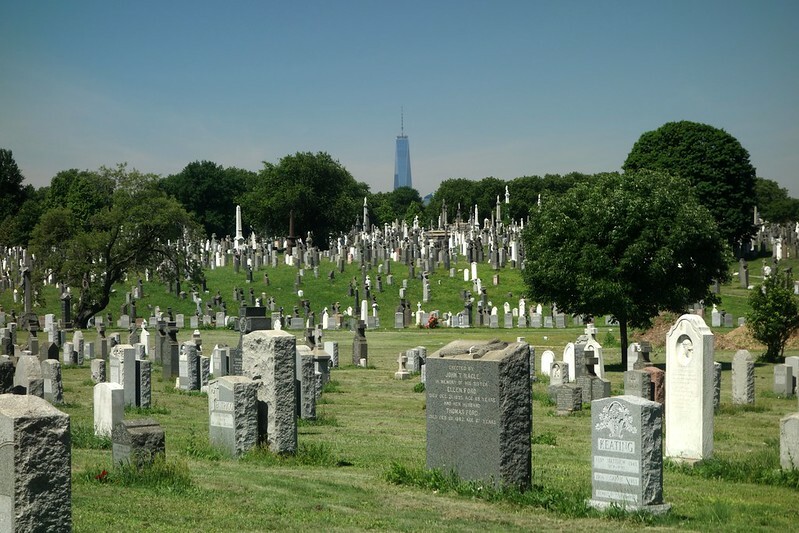 The reason the cemetery is frequently said to be in Woodside is because that’s where their administrative offices are, on Laurel Hill Blvd near 49th Street. That’s pretty squarely Woodside, I would think. Their official website says they are located in “Woodside/Long Island City”, which I guess covers the bases. Although if you ask me Calvary is in Blissville. 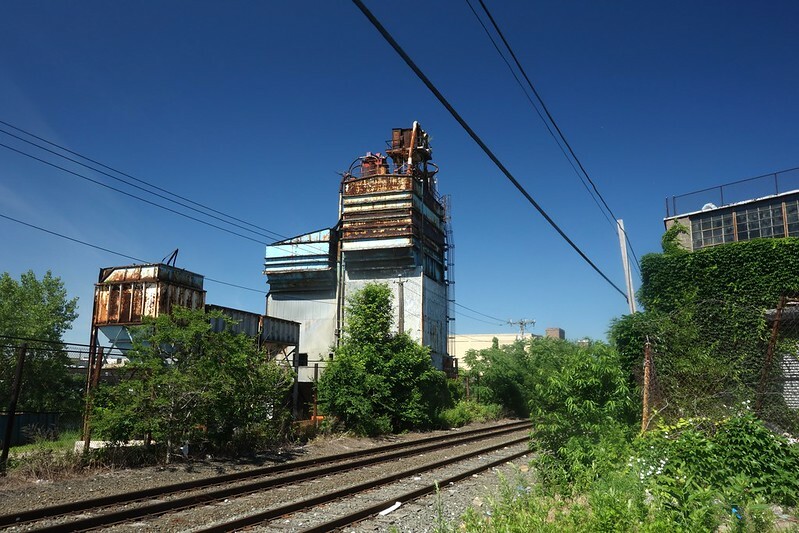 Old Calvary and New used to be conjoined but West Maspeth and the L.I.E./B.Q.E. quagmire got in the way. 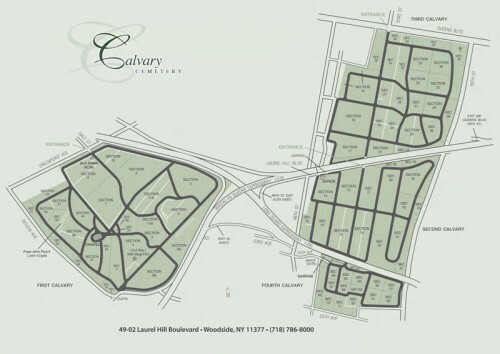 Technically speaking Old Calvary has no street address. Ain’t no one gettin’ mail there! However I’d say it’s not so clear-cut the neighborhood in question; now nothing that I’m about to say is definitive, merely suspect. For starters I consider Blissville part of LIC. Where LIC ends is the big mystery, part of many debates. LIC is not only the tip; and Astoria is clearly not where I live, in the Dutch Kills neighborhood; furthermore that map says Blissville is in Sunnyside, and they’re culturally very distinct. 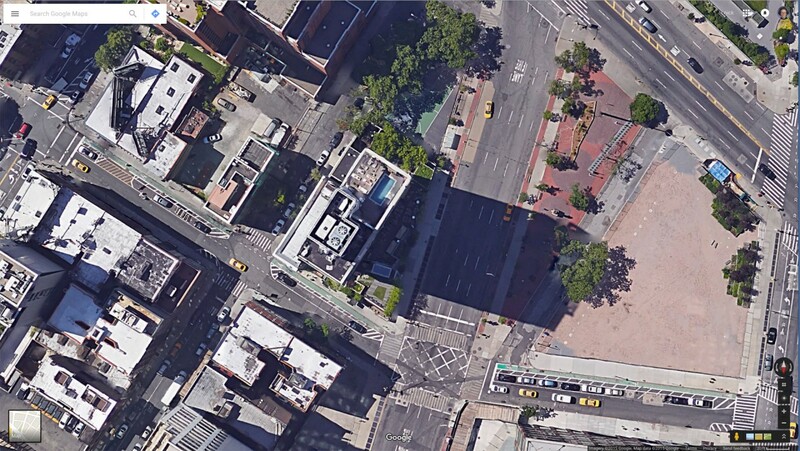 Google Maps does not clearly define “Long Island City” and instead puts 49th/LHB in Sunnyside (not Woodside). I’m definitely not trying to force definition on the landscape (I’m no developer! 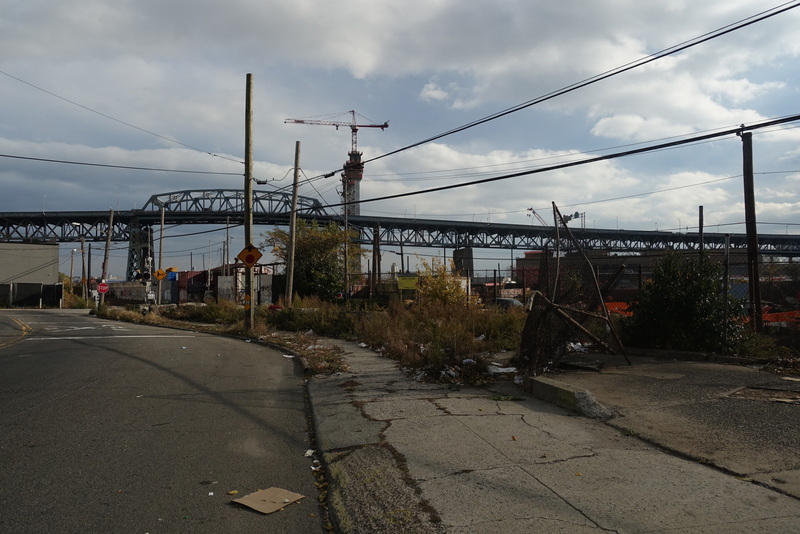 ), in fact I appreciate the grey zones of Queens and how the neighborhoods really do blur together. As for that opening scene: good eye! I’ll try and spy the location when I’m out & about. I can’t imagine they’d pay top dollar to change locations for one shot, but then again there’s a lot of ‘movie magic’ in every film we gloss over as we’re watching.